November 2013 – Change is possible! I have been thinking all week-long about this next road trip post I promised. 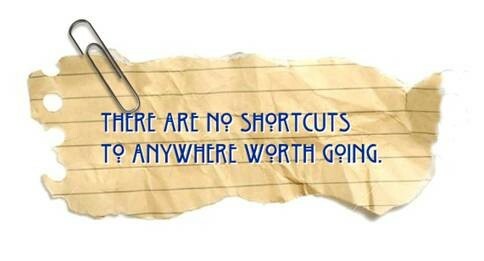 All week-long I have been struggling with writer’s block. All week-long I have wanted to blog about where I am at with THE FOOD, but I have not had the insight to put anything up on my blog. I don’t know why. I only have a few pictures of Part 2 of our trip to share here today. 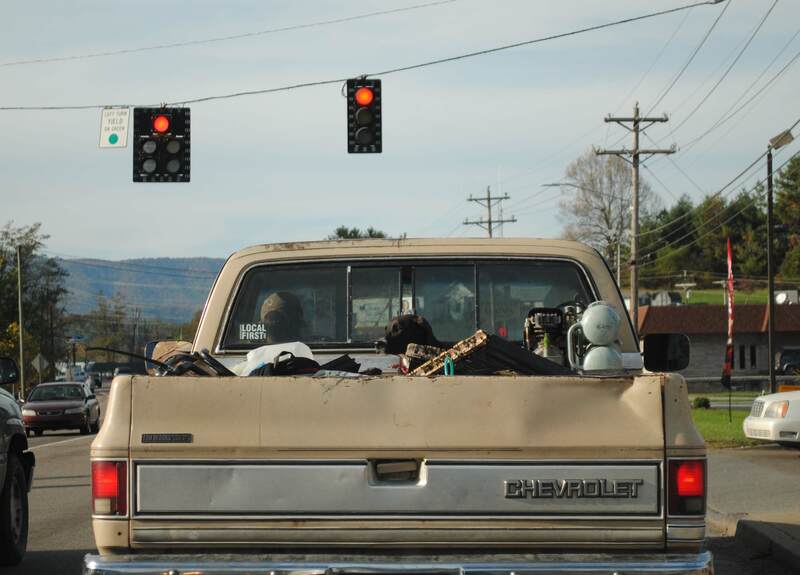 The first is that of a pick-up truck in TN that we were following down the road. Notice there is a black figure in this picture. It is this fellows dog, tied in the truck bed, and trying to find a comfortable spot to lie down in while being tossed to and fro–poor pup. I felt sorry for him that he was being jostled so much, but happy that he got to ride along on the trip to town. I just hope he doesn’t have to do this all the time. Poor pup! The stuff in the back of that truck doesn’t look too soft. I hope pup wasn’t hurt during the commute. While we were in TN and in NC, we saw lots and lots of churches. 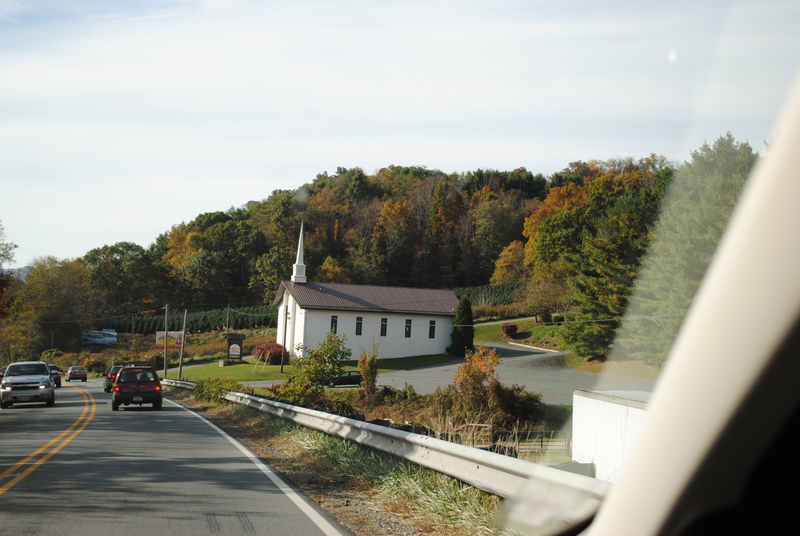 It seemed like there was a church on every street corner, and most of them were Baptist churches. This one was nestled up close to the road between Boone, NC and the TN border. 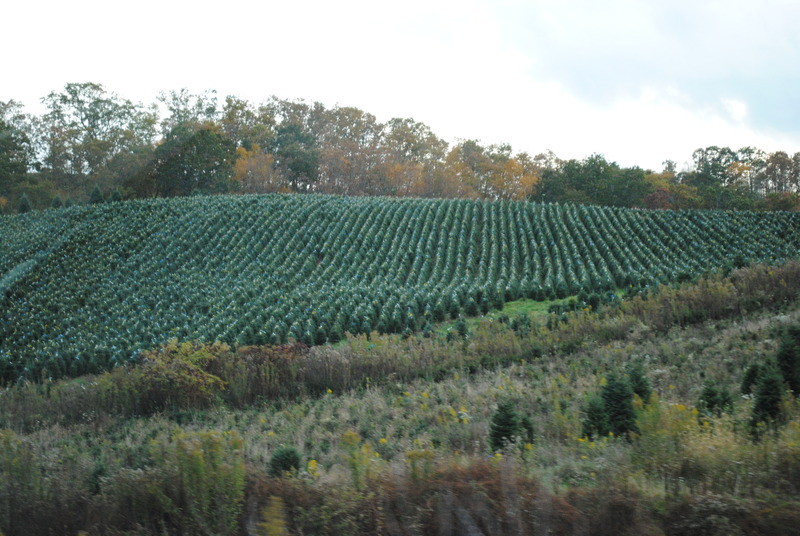 It was a particularly pretty composition and placement, I thought, so I snapped a picture out the car window. 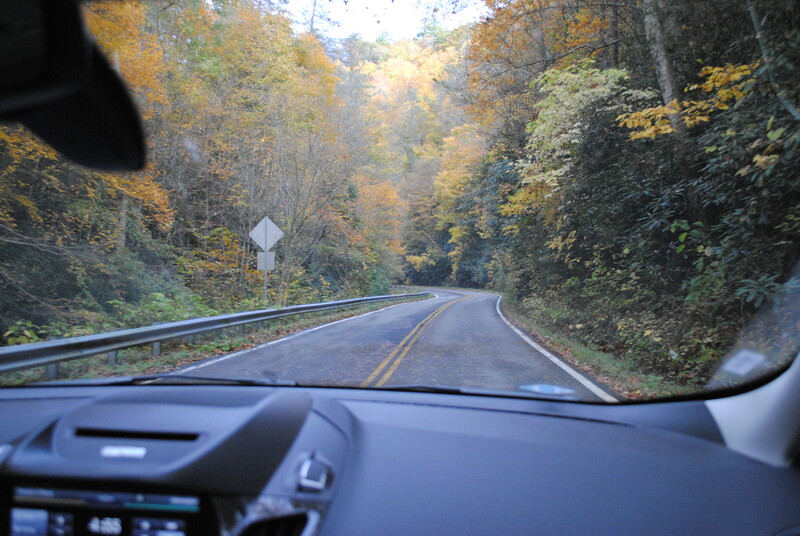 On our way to TN and then back eastward to VA, we traveled many miles through state game lands. I mean for a really L.O.N.G. time. Too long. I began thinking about Steven King and some of the stuff he writes about and I said to hubs, “You know, I think this would be the perfect place for someone to dump a body.” It was really remote, and after a while I was getting freaked out. Let no one say I don’t have a good imagination. I do, and this part of the trip was freaky for me. 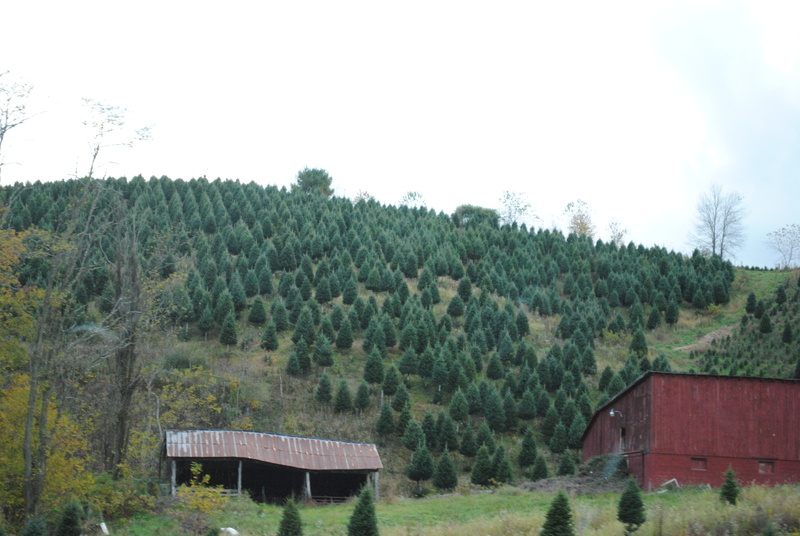 We saw a number of evergreen farms along the way from TN to VA. Acre upon acre of Christmas trees made me think of the upcoming holidays. I don’t know how tall these guys are allowed to grow before they are cut down and taken away, but right now they look super cute along the interstate. We have some tree farmers near my home, but they are nonsensical people. They cut the trees down and then leave them to rot in the field. I cannot imagine why they do this. Maybe they are being subsidized by the government for growing the trees, and don’t care a whit about making money selling them to the Christmas tree buying public. ?? Seems like a big waste to me. 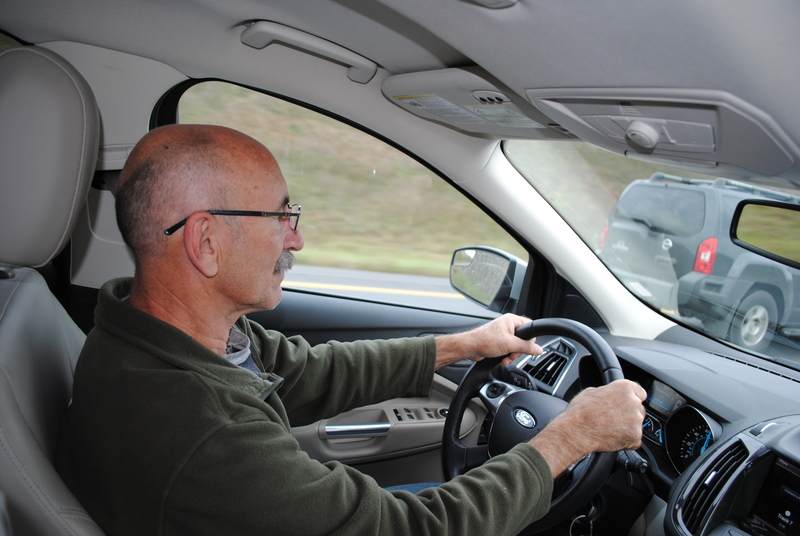 Although we had planned to stop and see folks we knew in TN while on our trip, about the time we would have done that I was beginning to feel sick. I didn’t know if I had the flu or what, so didn’t want to infect anyone. We decided to quit the plans to stop in TN (friends didn’t know we were coming, so we not disappointed). The great thing about hitting the road with no agenda is that you can change things up at a moment’s notice and no one but you is the wiser. Instead of stopping in TN, we proceeded on to Baltimore, through VA. 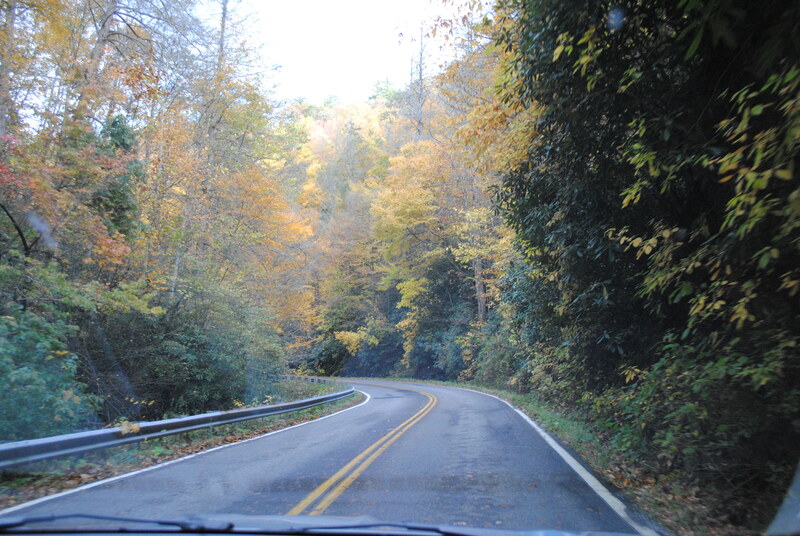 Somehow, we missed the Blue Ridge Parkway through VA from NC. I’m guessing it was because we scooted over to TN and then backtracked from there. In any case, I was sorry to have missed that trail, and will definitely take advantage of the BR Parkway next time we go south. 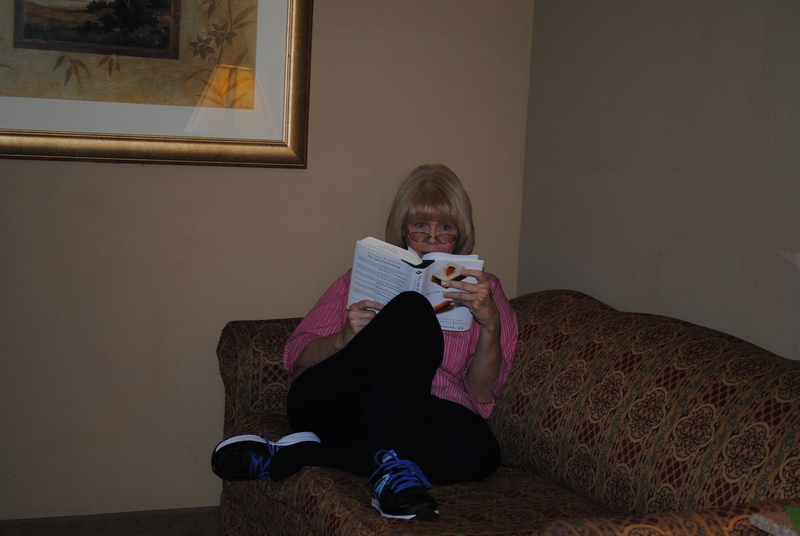 My finally picture to share for this part of the Great Road Trip of 2013 shows me in a hotel room, trying very hard to digest the contents of a book I wanted to read while on vacation: The End of Overeating, by Dr. David Kessler. I will admit that I did not finish the book. It was a loan from the library and since the last few days of our trip I was sick, I could have cared less if I read it or not. I also found it to be a little hard to absorb. Maybe because I was so distracted, but I also think it was because it includes tons of info about testing on laboratory animals and the outcomes of those tests, and how they apply to humans. About two-thirds of the way through the book it was beginning to pick up for me, but then we were home and I needed to return it. I think I will purchase a paperback copy of the book and see if I can begin again. It came highly recommended to me, so I’m sure there is good stuff between the covers that I did not have a chance to read. One section of the book, on hypereating, was quite informative and helpful to me. This chapter talked about portion control and how the hypereater will continue to eat after being fully satisfied, if and when additional food is visible, available, or offered to him or her. Sounds like this girl! Anybody else out there struggle with portion control? My next post will include photos from Baltimore, MD. We tried to find the inner harbor with our GPS, but never did. I will also include pics from Lancaster, PA, where we went to retreat from downtown Baltimore. Have I mentioned yet that my hubby HATES metropolitan areas? He’s a country boy with a capital C, so when water could not be found, we got into the only heated disagreement of our travels and high-tailed it outta downtown Baltimore. I must admit, the hills of PA were a welcome sight, even though we were still five hours from home.